ZRXS Flexible Case not only provides reliable scratch-resistant protection, but also makes your Fitbit Watch be fashion. High-quality material, special design, the best craftsmanship. 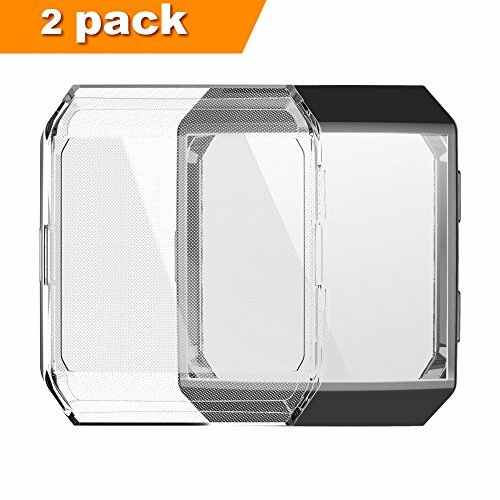 This case fits for Fitbit watch. 360-degree full protection of all sides and screen, you don't have to worry about your watch being dusted, fingerprinted and scratched. Especially its elastic adequate cushioning. Unique design does not affect original metal texture, be more elegant and luxury. Precious key-press positions and sockets ensure the sensitivity.